The term 'sick building syndrome' (SBS) was coined in the late 1970's to describe situations where building occupants experience acute health problems. Although these experiences were linked to time spent in a building, no specific illness or cause could be defined. 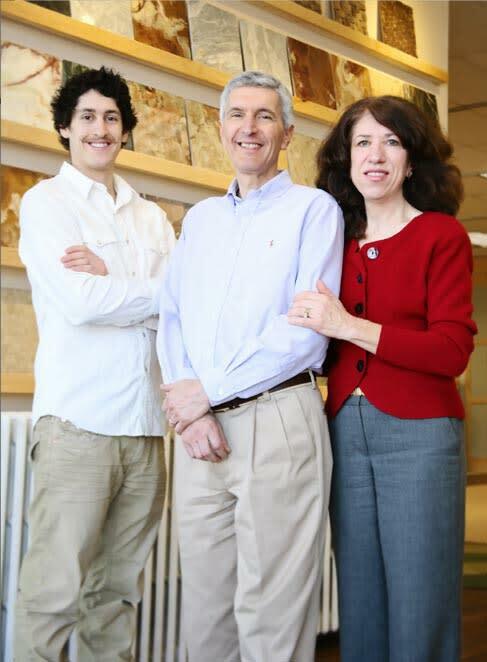 This was the first time national attention was given to indoor air quality as a major health issue. SBS typically results from poor building design, old malfunctioning HVAC systems, remodeling projects or various occupant activities. Numerous and specific causes have been identified and defined by many organizations in great detail over the last few decades. Chemical contaminants from indoor sources such as: environmental tobacco smoke, VOCs from adhesives, carpeting, manufactured wood products, copy machines, pesticides, solvents, cleaning agents, kerosene and gas space heaters, woodstoves and gas stoves, etc. While the above causes and solutions seem to provide a conceptual framework for SBS, this body of knowledge has never been talked about much publicly and, therefore, never reached critical mass in public awareness. The truth about SBS has been uncovered over decades through research, personal testimony and medical examinations. But it was too little and far too late to trigger any significant consumer or political response to the massive chemical pollution outdoors as well as indoors. Prior to the internet, reporters for magazines and newspapers had far juicier things to write about than a few people becoming ill in a home or office building. Often such stories were rejected as too insignificant to be newsworthy. However, it turned out years later that sick building syndrome was experienced not by just a few people, but a significant percentage were affected by the buildings they were living or working in. In 1984 a World Health Organization Committee report suggested that up to 30 percent of new and remodeled buildings worldwide may be the subject of excessive complaints related to indoor air quality (IAQ). These complaints from patients and doctors later became known as multiple chemical sensitivities (MCS), toxic injury (TI), chemical injury syndrome (CI), environmental illness (EI), idiopathic environmental intolerance (IEI) and toxicant-induced loss of tolerance (TILT). In order to address some of these rising issues, congress passed the Toxic Substances Control Act (TSCA) in 1976. This was a first attempt to regulate chemicals. Unfortunately, the act grandfathered some 62,000 chemicals as safe with little or no supporting data to back it up. It has been said that fewer than 200 of these chemicals were required to be tested, and only five have been banned or restricted. Since, then some 20,000 more chemicals have been approved. "It is the policy of the United States that adequate data should be developed with respect to the effect of chemical substances and mixtures on health and the environment and that the development of such data be the responsibility of those who manufacture [and import] and those who process such chemicals and mixtures." TSCA § 2(b). In order for the EPA to get a handle on all the chemicals used, it provided a testing methodology to all the large chemical companies making a million pounds of chemicals or more. It asked manufacturers to test them and report their findings according to strict guidelines. The EPA also required that the chemicals be produced or imported in substantial quantities, and either enters the environment in substantial quantities or there is substantial or significant human exposure. In other words, the EPA only considered it significant if you were making or importing millions of pounds of chemicals and the exposure to these chemicals were massive enough to cause a risk to the health of large numbers of people or the environment; and in a manner that was not reasonable. The TSCA never defined what unreasonable risk meant. If your chemicals were produced or imported in small batches or the risks were not pervasive, or the risks were "reasonable", then the EPA would not consider your chemicals worthy of testing. Such a policy appears to cast a wide net that allows all the smaller fish to fall through. It's hard to imagine how any manufacturer of chemicals would not be able to find a way around such policies. And it appears that many already have, but not because of evil intent. Instead, the EPA itself allowed it. According to the EPA website, there are more than 82,000 chemicals manufactured, used, or imported into the U.S. listed on the TSCA inventory. However, the EPA is unable to publicly identify nearly 17,000 of these chemicals because under TSCA guidelines, the chemicals have been claimed as confidential business information by the manufacturers. That means they have been classified as trade secrets, and therefore, not required to be revealed to the public. This makes it almost impossible to uncover the true chemical nature of a product. As of January 21, 2010 Lisa Jackson of the EPA has opened up the TSCA database of chemical information to the public so that the identity of chemicals listed could be explored by anyone free of charge. This new policy will increase the amount of information available by granting the public access to the chemical identification information submitted, along with other health and safety data under TSCA Section §8(e). For more info go to Summary of the Toxic Substances Control Act. TSCA §8(e) requires U.S. chemical manufacturers, importers, processors, and distributors to notify EPA immediately after obtaining information on any of their chemical substances or mixtures that reasonably supports the conclusion that such substance or mixture presents a substantial risk of injury to health or the environment. 8(e) notices should be submitted within 30 calendar days after obtaining information that a substance or mixture presents a substantial risk. While the above statements sound well meaning, reporting is still a voluntary measure on the part of manufacturers and that requires constant education and enforcement by the EPA. How does a manufacturer conclude that there is "substantial risk?" According to the EPA, to be of substantial risk, there needs to be severe reactions to the direct use of a specific chemical by 10,000 consumers or 100,000 people in the general population who may not have directly used a product. It's well known that most testing of chemicals is done on animals such as rats. However, the effects of chemical emissions on humans are highly complex and often difficult to diagnose. Manufacturers typically do not have the time, resources or expertise to evaluate all the possible ramifications of one chemical on human health (or on the environment), let alone its combination with other chemicals. Even if they acted in good faith to perform long term studies on the effects of every single chemical they produce or import they would not necessarily be unbiased, objective or transparent with regard to the results. In addition, many lesser known chemicals that are released or imported on smaller scales fly under the radar of the EPA--and, reactions that occur due to long term exposure may not be detected for years after a product is released. Clearly there is an enormous backlog of research that needs to be done in order to provide proper information on the thousands of chemicals that have never been tested as well as the few thousand that already exist in the databases of the EPA. In our opinion, the scale and seriousness of this task far exceeds the means of any manufacturer or group of manufacturers; but rather, it needs to be addressed by a group of independent researchers paid for by the government of all countries jointly who will provide third party peer reviewed research on the impact of every chemical on humans and the environment. Only then, will we know for sure, what is safe and what is a substantial risk; what should be utilized by industry and what should be permanently banned. One of the primary ways manufacturers inform their workers about the chemicals they are working with is through Material Safety Data Sheets (MSDS). MSDS are supposed to list any "known hazards" contained in a product along with useful information about how to deal with them if exposed. While this information is critical for employers to provide to their employees working in factories, they were never intended for consumer use. There are several problems with using MSDS as a basis for determining the safety of a product. Information is voluntarily provided by manufacturers with almost no governmental oversight or third party verification. The vast majority of chemicals have never been tested on humans for their short term or long term effects on health. 17,000 chemicals continue to be produced but are classified as trade secrets and therefore little is known about these substances. While the burden of proof has always been on the government to define these hazardous chemicals, there appears to be a change in the wind. The new Kid-Safe Chemicals Act, for example, is intended to finally reform the antiquated TSCA. It gives the EPA some enforcement control, requires more rigorous testing, and places the burden of proof on chemical manufacturers. While passage of this act may be a giant step forward, it will still take years before it takes effect and changes the way chemicals are made, tested and labeled. The new TSCA is taking risk management actions on a number of chemicals, including lead, mercury, formaldehyde, polychlorinated biphenyls (PCBs), glyme, and nanoscale materials. While these efforts are certainly welcomed, they still do not provide adequate information in an easily understandable form for consumers to make intelligent decisions. Those who seek more information must do their own research and form their own conclusions on their own time and at their own expense. They must browse the internet, talk with medical doctors, consult with academic researchers if they can find any who are familiar with these issues and then hopefully make sense of it all. One practically needs a degree in chemistry to properly interpret the data. Because of the lack of transparency, consumers are forced to: trust what they read on the internet, trust the labels, trust the MSDS, trust their doctors, or trust their noses. Unfortunately, none of the above provides a source of reliable and complete information. What is clearly needed, in our opinion, is a complete overhaul in the labeling of all building materials and chemicals used by consumers. While this will not guarantee people will read the labels just as they don't pay attention to the warnings on cigarette packages, it will at least provide basic warning labels of potentially harmful substances which, if heeded, will save millions from untold suffering. One of the most obvious and noxious effects of chemicals is witnessed visibly as smog. Photochemical smog results from sunlight coming in contact with nitrogen oxides and volatile organic compounds in the atmosphere. 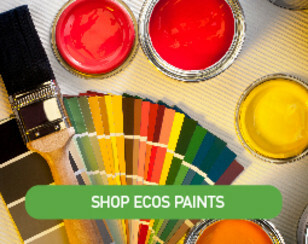 VOCs are released from man-made sources such as gasoline, paints, solvents and pesticides as well as biogenic sources such as pine and citrus tree emissions. Sources of VOCs are primarily industrial processes that emit 58%, motor vehicles that emit 37%, and consumer solvents that emit 5%. This noxious mixture of air pollutants is highly reactive and oxidizing, and produces serious effects to both indoor and outdoor air quality. The affects of smog are so widespread in major cities that the EPA has created an Air Quality Index also known as the Air Pollution Index to characterize the quality of air at a given location. The EPA has created regulations to control the amount of VOCs produced by industry to help reduce outdoor air pollution and global warming. However, the regulation of outdoor air pollution has become the primary issue due to its affects on global warming, while regulation of indoor air quality has garnered less attention. 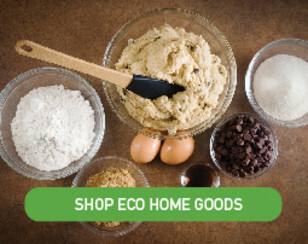 Certain products that emit VOCs are considered volatile because they have a high vapor pressure and evaporate at room temperature; and they're considered organic because they're carbon based. Unfortunately, the definitions of VOCs (developed by the EPA) as precursors of photochemical smog includes exemptions for compounds that are determined to be non-reactive or of low-reactivity in the smog formation process. In other words, some VOCs have been de-classified as VOCs because they don't react with certain chemicals that create smog. This has caused a great deal of confusion because chemicals that are de-regulated for purposes of controlling outdoor air pollution may still have a serious effect on indoor air quality. As a case in point, neither acetone nor ammonia are considered a VOC by the EPA because they do not react with sunlight or other pollutants and promote smog. However, everyone knows from experience that their emissions indoors are not good to breathe. Even the labels on the outside of the cans say inhalation can cause serious health problems. Acetone and ammonia are both volatile and are both organic compounds. They are typically used as solvents in paints. However, if you read the MSDS sheet for the paint you will not find them listed. This is just one example of why MSDS sheets don't tell the whole story and why consumers remain confused about which products are safe. Buyers beware! A product labeled with low or no VOCs does not mean it's safe or good for your health — it simply means it does not promote pollution in the outdoor environment. When a manufacturer's label reads low or no VOC, we assume the product to be "green" and that green is healthy. However, lack of a VOC does not mean there are no toxic chemicals. There is nothing illegal about such a label nor is there anything illegal about excluding from the MSDS ingredients that are trade secrets. It just does not tell the whole story. It presents a false picture and behind this guise there can be--and often is--much danger. The World Health Organization report of 1984, as well as others, have confirmed that a large percentage of people become ill just being inside a building. If indoor air quality is to be improved, the EPA must transparently identify, test and label all toxic chemicals so consumers know what they are buying along with any hidden or secret ingredients. Formaldehyde — what is it? One such dangerous VOC that is being targeted by the TSCA is formaldehyde. A simple organic chemical made of hydrogen, oxygen and carbon, formaldehyde is a widespread and natural constituent of all living systems. It is found in plants, fruits, vegetables, animals (including humans) and seafood (see chart at end of this section). It is one of the most abundant volatile organic compounds in the universe. As one of the simplest biological forms of carbon, most primitive organisms relied on formaldehyde as a building block for the synthesis of more complex molecules. Due to its importance in the metabolic process, it is naturally present in the blood of all humans in concentrations of 1-2 parts per million (ppm); and because it is volatile, it is exhaled in human breath. Formaldehyde is a normal, essential human metabolite with a biological half-life of about 1.5 minutes (Clary and Sullivan 2001). Formaldehyde has existed since the beginning of life, but its inherent toxicity has been controlled by certain enzymes that convert it into formate which is less reactive and less toxic. The largest sources of formaldehyde are found in the chemical manufacturing industry mainly because of its low cost. Naturally occurring formaldehyde is no different in its chemical nature from synthesized formaldehyde. Different types of formaldehyde such as phenol formaldehyde and urea formaldehyde are used to make adhesives. As John Wagner points out in the October 2010 issue of LBM Journal, "When formaldehyde reacts with phenol, urea or melamine it produces phenol-formaldehyde resins (PF), urea-formaldehyde resin (UF) and melamine [formaldehyde] resin" (MF). 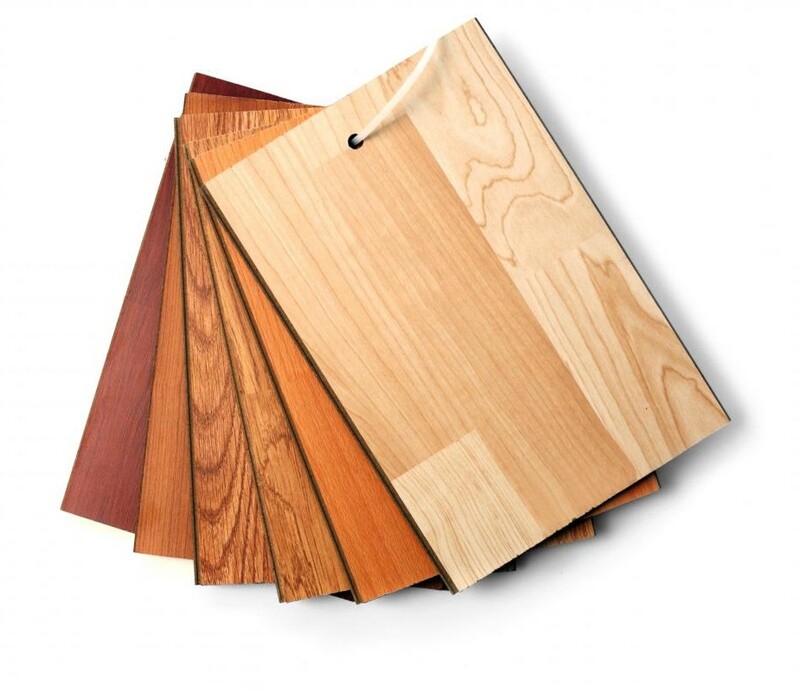 Phenolic and melamine resins emit much less formaldehyde than urea resins and are used in the production of plastic laminates for flooring and countertops, melamine ready-to-assemble furniture and inexpensive kitchen cabinets. US Green Building Council's LEED credits program (v2.2's MR Credit 4.4) disallows urea formaldehyde but does allow both MF and PF. How does formaldehyde affect my health? Formaldehyde is a colorless, strong-smelling gas that is emitted into the air. Inhaling air containing low levels of formaldehyde can cause burning and watery eyes. As levels increase, it causes burning in the eyes and throat, nausea, fatigue and difficulty in breathing. High concentrations may trigger attacks in people with asthma. The amount released is greatest when a product is new, and decreases over time. Formaldehyde is released more readily at warm temperatures and high humidity. Some people may be more sensitive to formaldehyde than others and experience negative effects at concentrations lower than expected. Conversely, others may not be bothered by its presence at all. 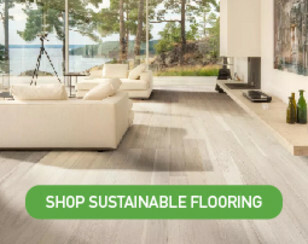 One possible reason for this is that the type of formaldehyde used in exterior grade products is often phenol formaldehyde-based which has lower emissions. Also, during new construction, there is plenty of ventilation as the building is generally sitting open to the environment for much of the time. Once it becomes enclosed, however, the situation changes immediately. Off-gassing begins to be noticed as soon as the doors and windows are closed, the temperature begins to approach 72 degrees and humidity levels climb above 50%. As off-gassing continues for months and years, the emissions decrease significantly which is why many older homes don't smell as bad as newer homes. However, formaldehyde can be temporarily trapped beneath carpet or behind walls and, when re-exposed during a renovation, continue to off-gas. This can also occur from water-based paints or finishes which can reactivate the surface of older painted walls; formaldehyde can then once again begin to leach out through the surface. Is formaldehyde a real threat? Animal studies have shown increased nasal cancers in rats and mice exposed to high levels of formaldehyde for a long time. Because of this and other studies, the EPA has classified formaldehyde as a "probable" human carcinogen (cancer causing agent). This means there is enough evidence that formaldehyde causes cancer in animals, but not enough evidence that it causes cancer in humans. Clearly there are some major differences of opinion on this matter. The debate about the effects of formaldehyde emissions may go on for many more years, but numerous organizations have come to their own conclusions about what are the acceptable levels of formaldehyde emissions (see below). Formaldehyde is an extensively regulated material. On July, 2010 President Obama signed a law that will limit formaldehyde levels in composite wood. This new federal Formaldehyde Standard for Composite Wood Act effectively sets national emission standards at 0.09 parts per million (ppm) by January 1, 2013. Although formaldehyde is emitted into the air as an invisible gas, it can be measured in terms of parts per million or grams per liter. Why are there different standards? Why doesn't everyone agree on what constitutes a safe level of formaldehyde? These are valid questions. The standards shown above have evolved over time through different organizations based on their own testing and experience. Clearly, the direction of acceptable limits has been decreasing yearly as more research is done and more negative experience with formaldehyde is brought to light. In addition, progressive manufacturers are pushing the envelope by developing products with lower levels of formaldehyde. There are some companies now claiming to have zero formaldehyde in their products. How can this be possible if formaldehyde is naturally occurring in almost everything? The answer is, it can't. As a case in point, the Food and Drug Administration (FDA) allows labels to advertise products as "fat free" or "sugar free" or "calorie free" when, in fact, the food has less than .5 grams of fat, sugar or calories. Therefore, the claim needs to be understood to mean: no "added" urea formaldehyde. This means that the product may contain some natural formaldehyde but the manufacturer has not added any urea formaldehyde to the adhesives or binders. It contributes no additional pollutants into our environment. Here are some tips to reduce or remove formaldehyde off-gassing or any VOCs in your home or office? Prevention: avoid products made with formaldehyde or VOCs especially if you are chemically sensitive, pregnant or have newborn babies. Prevention: if you can't avoid them, use phenol based formaldehydes if possible. Control: purify the air with HEPA filters or filters that absorb gasses such as IQ Air or oxidize gasses such as Royal Air. Common sense: purchase cabinetry, flooring, paints and carpeting that contain no added urea formaldehyde and have zero VOC's.